I left my face totally un-re-touched here. I added text and blurred the background, that's it ! :-) No matter how much I wanted to fix that crazy eye brow and remove the 3D blemishes, I wanted this to be a real depiction of how my face really looks after the magic of makeup. 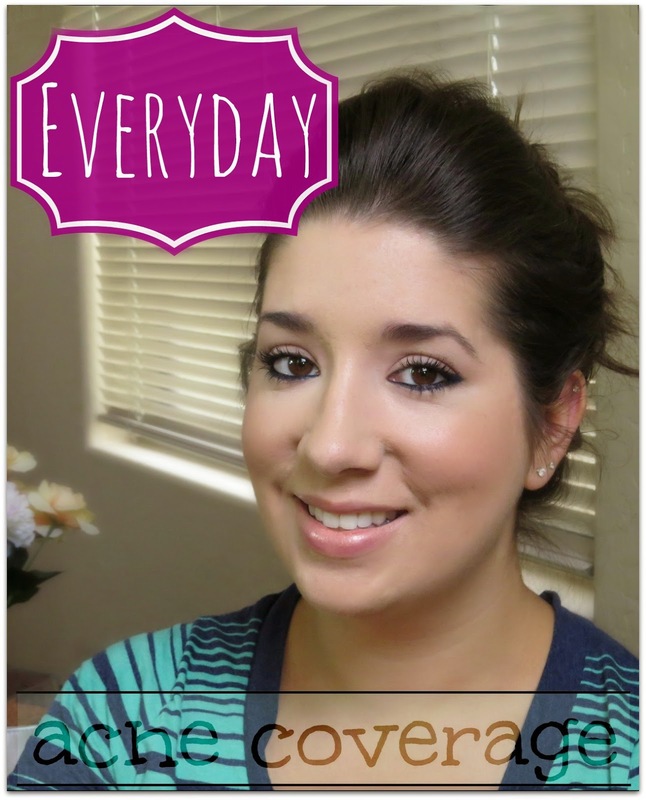 Today I am showing you ladies how I do my everyday acne coverage makeup. Some of these products I do switch up day to day but for the most part this is the premise of what I do. I have been struggling with acne since 4th grade, My Skin Story - Dealing With Acne and Psoriasis - Past and Current Treatments, so I've gotten a bit used to having to wear makeup everyday. Although (of course) I wish I didn't 'have to'. I gab A LOT in this video so feel free to use the Skip Ahead button - Thank you Jen from JenLuvsReviews for showing me how to do that! Please give this video a THUMBS UP and share it with your friends if you deal with acne and found this video helpful. Or if you were at least comforted in knowing you are not alone in this battle! Don't forget to Enter to WIN this Thirty One Gifts $200 Sizzling Summer Giveaway !! I understand that this is quite the list of products that I used here in this tutorial. But it is what it is. This list includes both the brushes and cosmetics used. If you have any questions please feel free to comment below or email me directly. * This is not a sponsored post or video. However, most links are my referral link so thank you for using them ! You look really cute in those nerd glasses! I know how hard it is to find cute glasses some times!